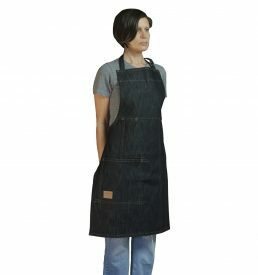 This 100% cotton Black Denim apron is stylish and rugged at once. 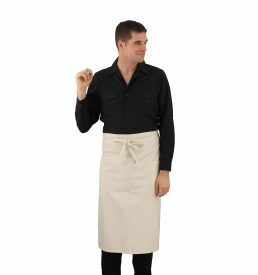 With edgy fashion style details such as vents, rivets, and over-stitched seams, this durable apron is perfect for the chef, server and bartender, as well as the home cook. Perfect for BBQ and Tail-gating, gardening and even for the inspired artist or industrious painter. 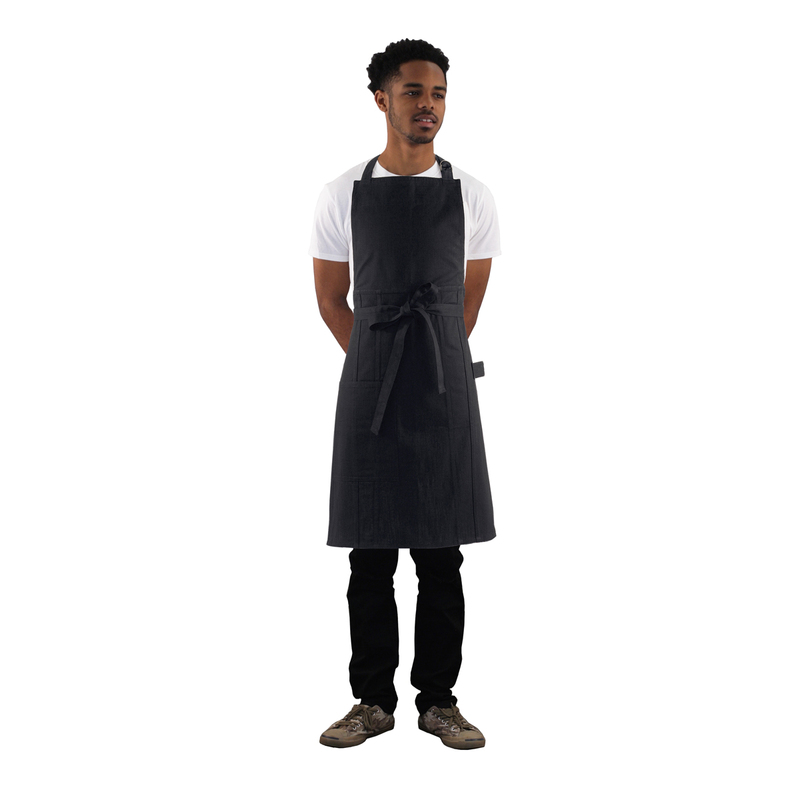 The apron has extra long ties at the waist, adjustable straps at the neck, an oversized patch pocket (convenient for an Ipad mini /order pad), a loop for a towel or hammer, and a snug pocket for pens, brushes etc. 36”L x 32”W. Machine wash and tumble dry for easy care. Lightly iron as needed. 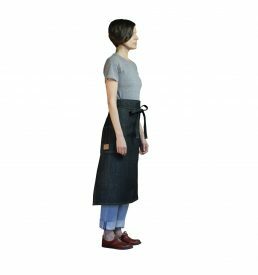 This 100% cotton Black Denim apron is stylish and rugged at once. 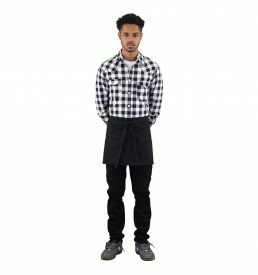 With edgy fashion style details such as vents, rivets, and over-stitched seams, this durable apron is perfect for the chef, server and bartender, as well as the home cook. Perfect for BBQ and Tail-gating, gardening and even for the inspired artist or industrious painter. The apron has extra long ties at the waist, adjustable straps at the neck, an oversized patch pocket (convenient for an Ipad mini /order pad), a loop for a towel or hammer, and a snug pocket for pens, brushes etc. 36”L x 27”W. Machine wash and tumble dry for easy care. Lightly iron as needed.